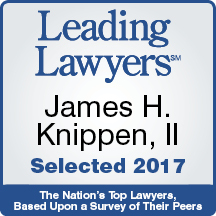 Jim Knippen is a principal in the firm who specializes in complex litigation, including personal injury, professional negligence, chancery and business litigation. He also represents units local government. His work in the personal injury area has included representing both plaintiffs and defendants. He has co-counseled multi-million dollar settlements and verdicts and is a specialist in the creation and use of demonstrative exhibits. Jim served as an Assistant States Attorney prosecuting criminal cases from 1979-1983. Since leaving the States Attorneys Office he has practiced with Ed Walsh. Representative corporate clients include, or have included, the Village of Roselle, City of Wheaton, Forest Preserve District of DuPage County, Village of Woodridge, City of West Chicago, Amoco Oil Corporation, Bluff City Materials Corporation, Waste Management Corporation, E/M Corporation, Concord Homes, Pasquinelli Development Corporation, various fire and police chiefs in employment discipline matters and numerous injured persons. He has done local counsel work at the request of many national and Chicago firms including, Jenner and Block, and Katten, Muchen, and Zavis. He also has extensive experience in injunctions, declaratory actions and zoning litigation. His zoning litigation experience has included the representation of both municipalities and private developers. 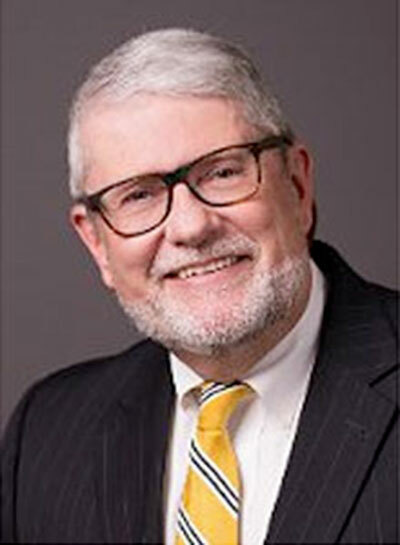 He has lectured at the Illinois Institute of Continuing Legal Education. Jim and his wife Tallya have three grown children. He is a lifelong resident of the Wheaton area. Outside interests include: American History, mountaineering, cross country skiing, and fly fishing. University of Illinois College of Law, Champaign, Illinois, 1979, J.D.